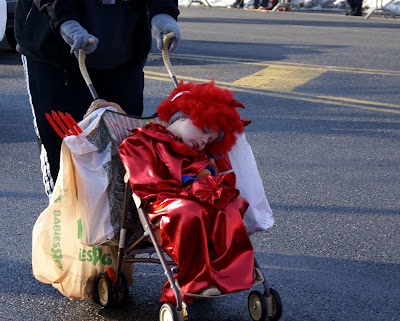 GOING HOME: Happy New Year!! 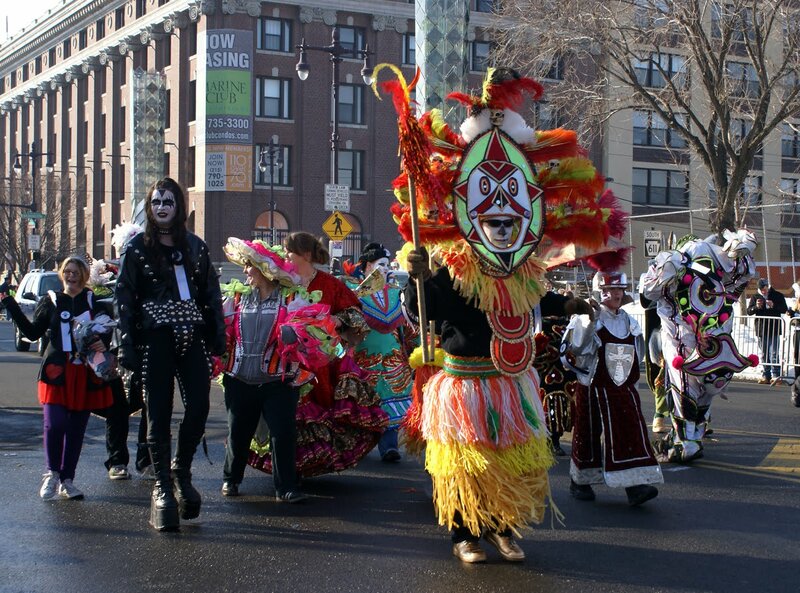 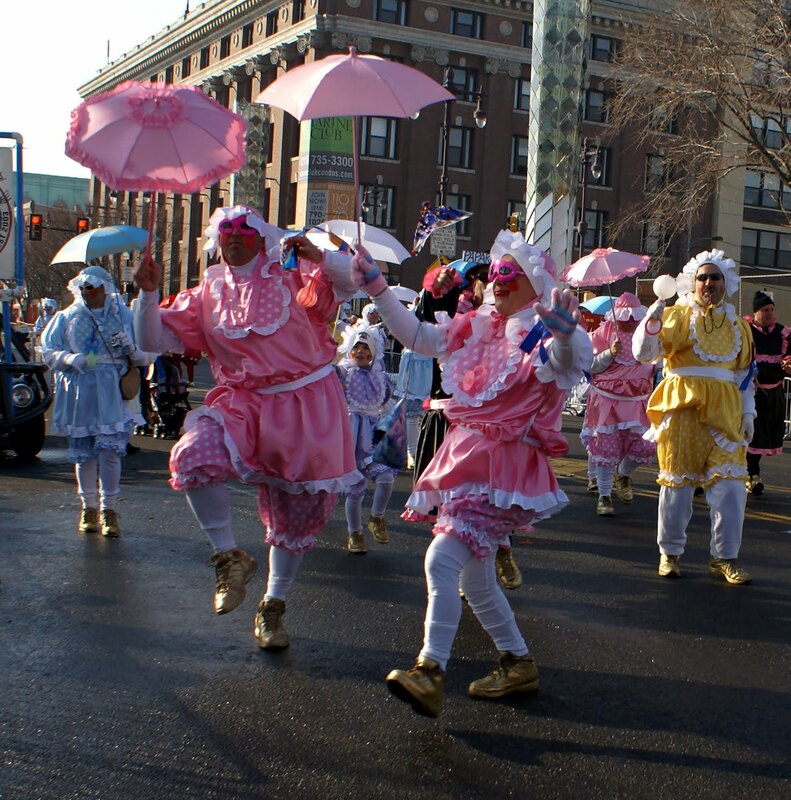 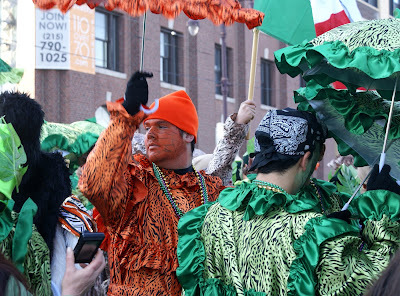 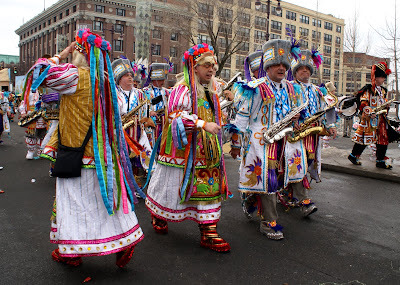 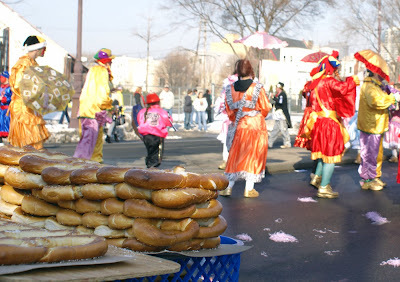 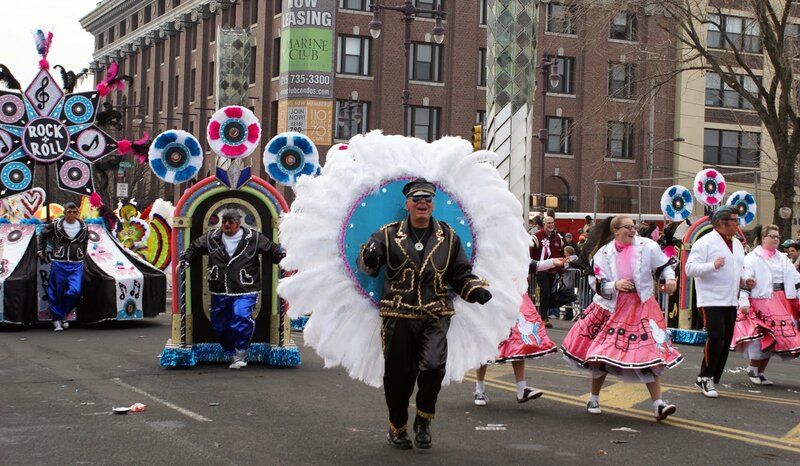 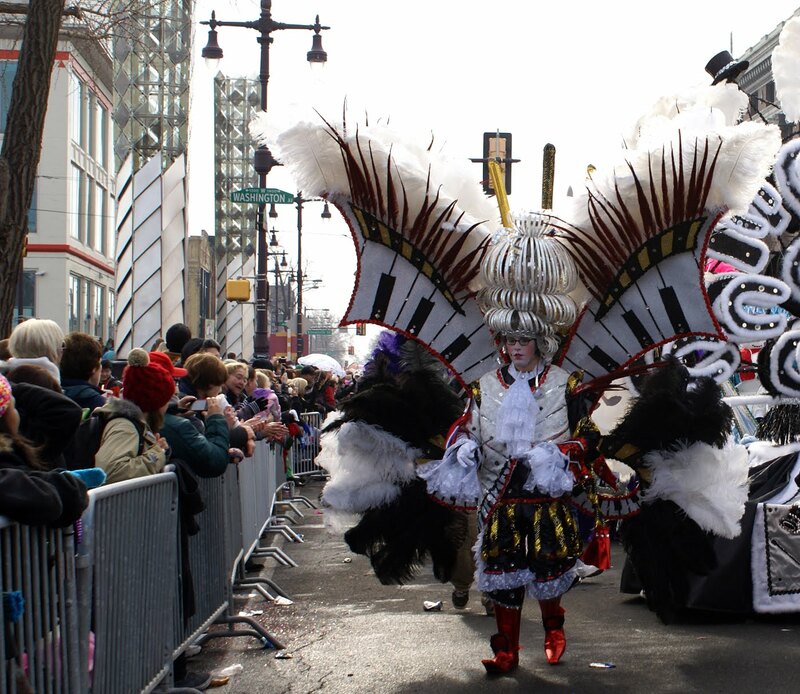 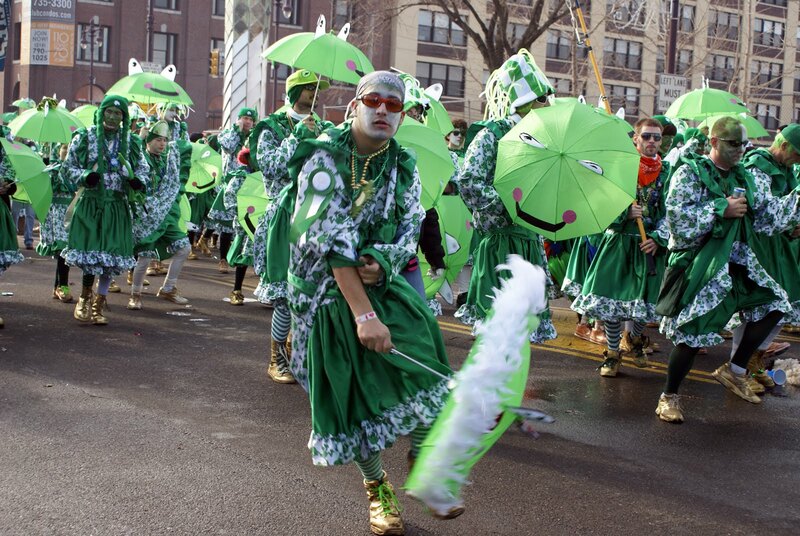 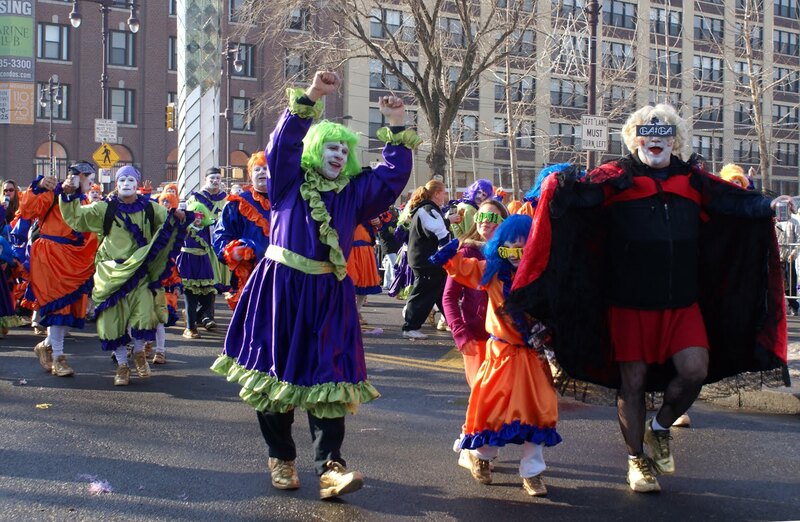 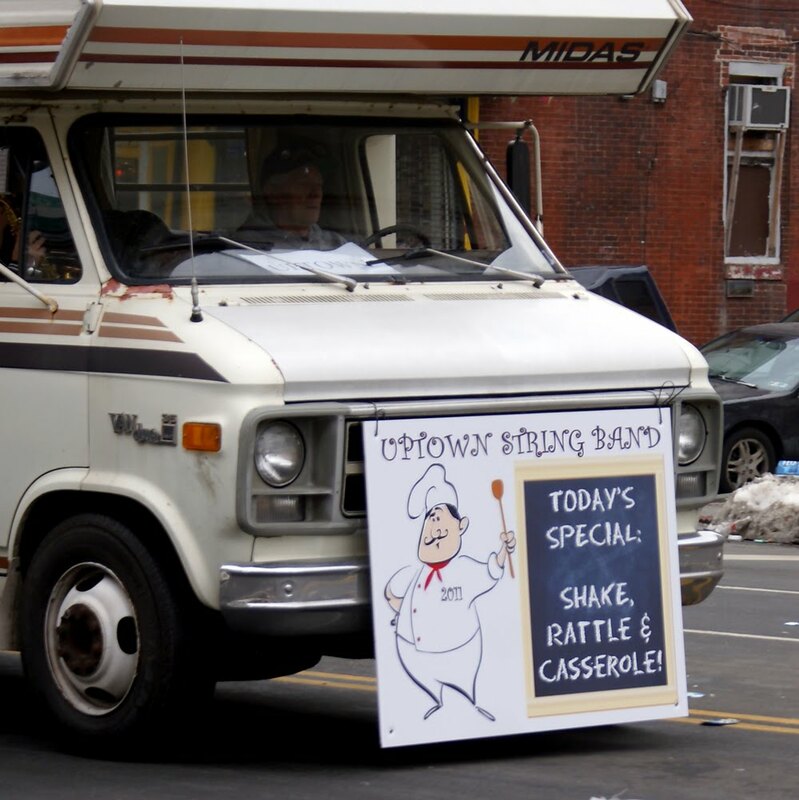 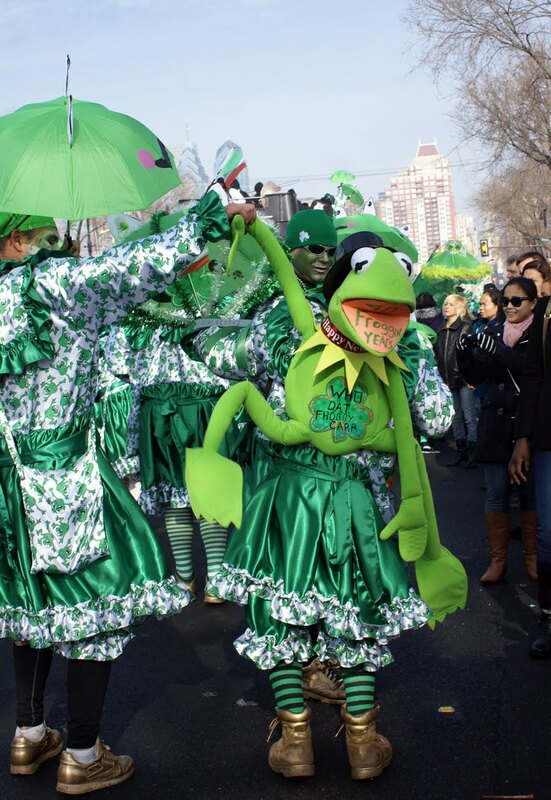 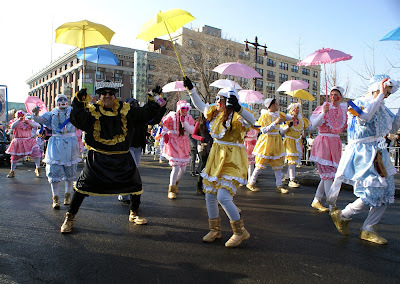 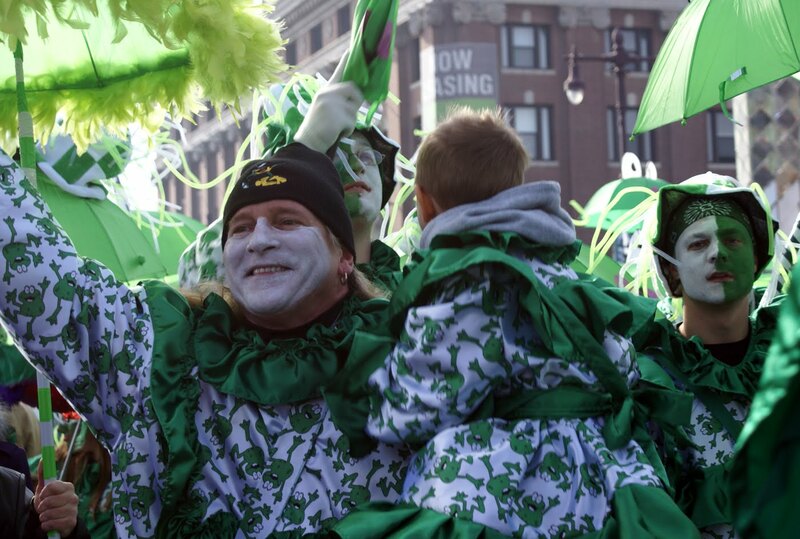 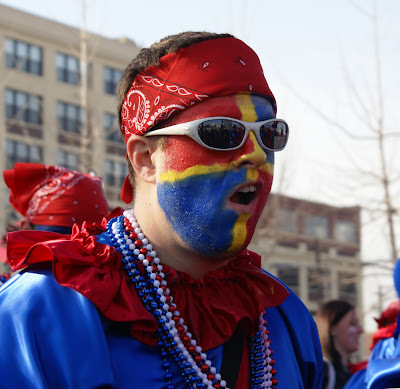 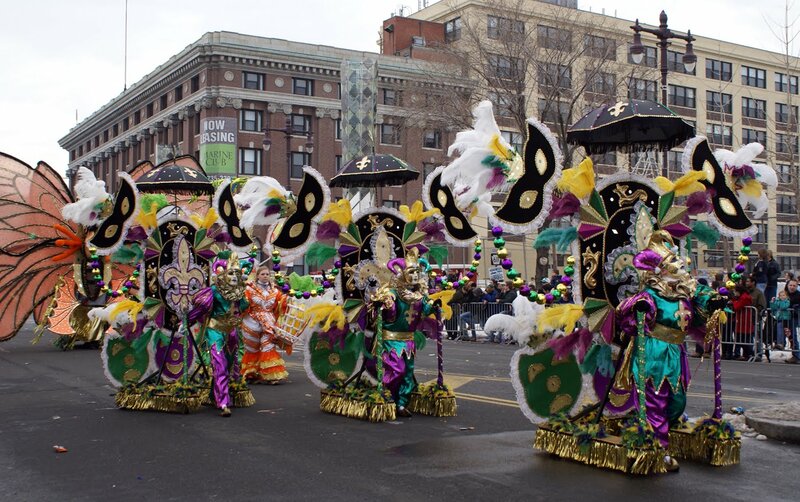 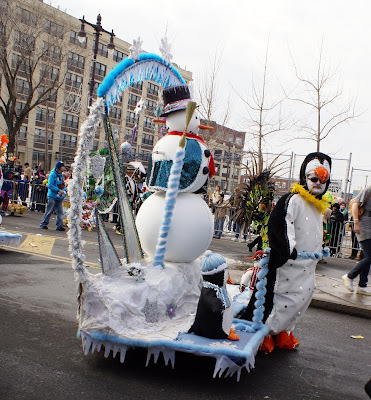 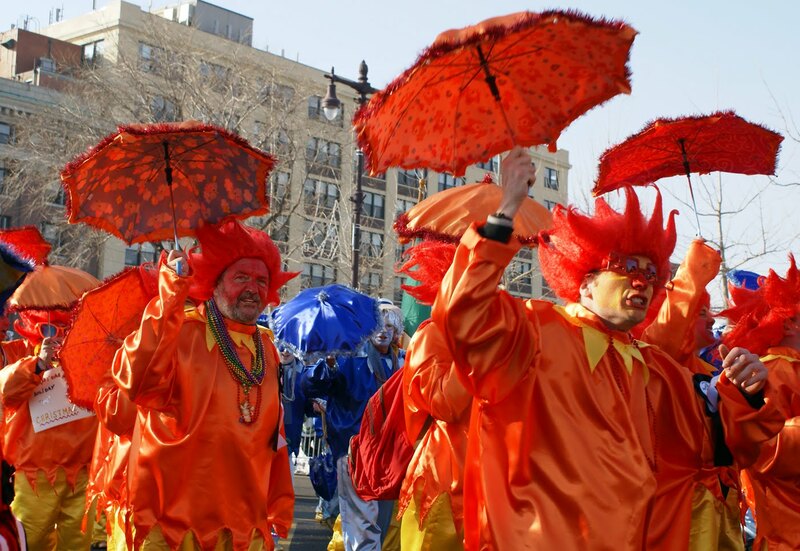 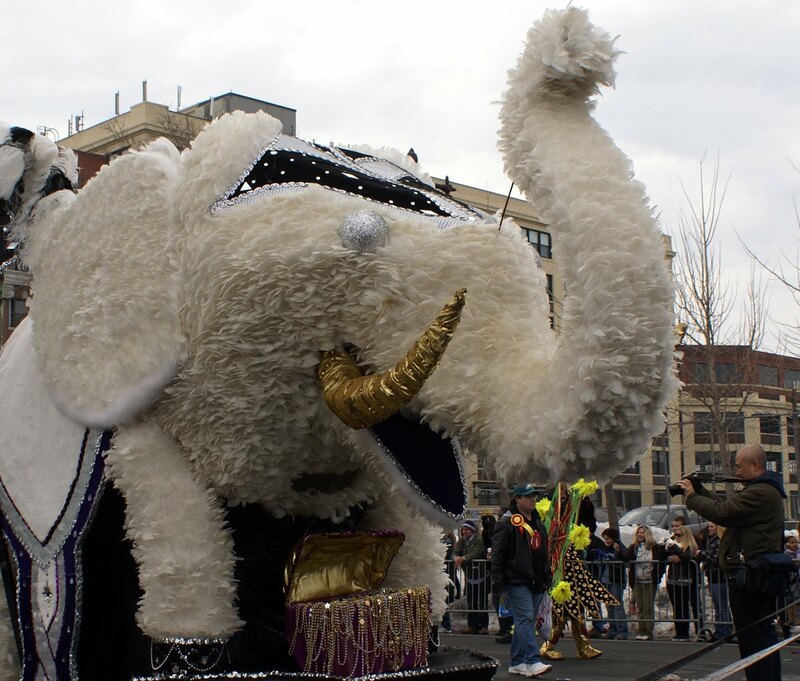 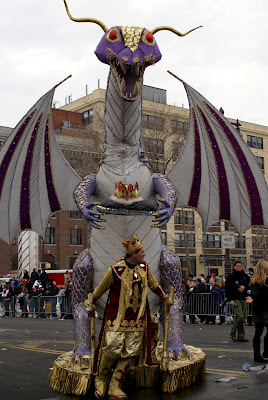 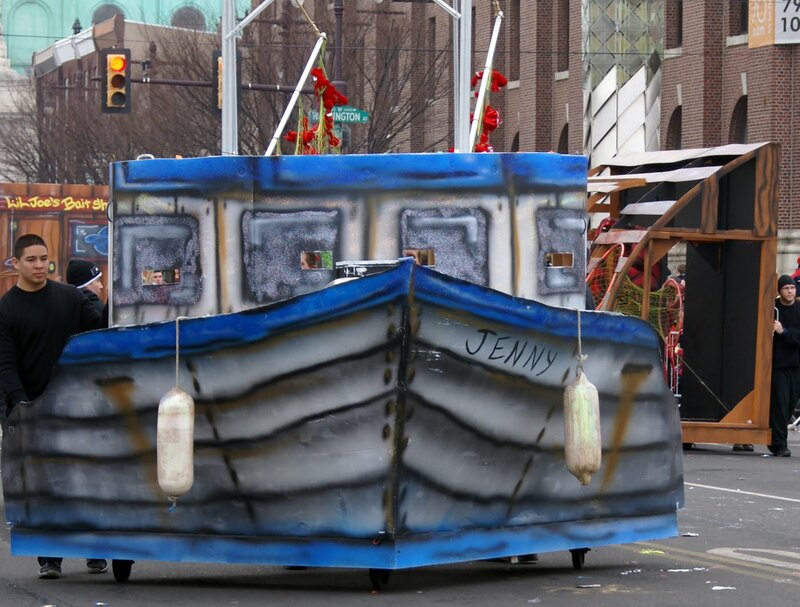 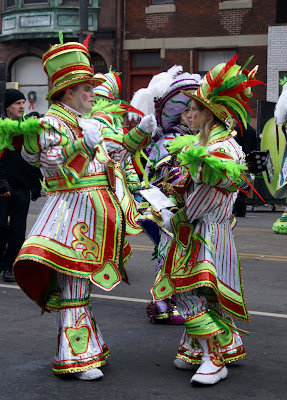 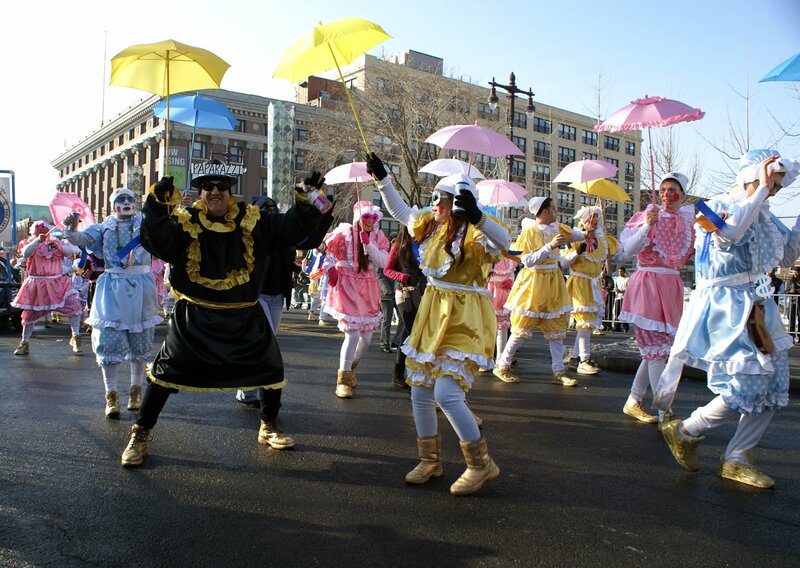 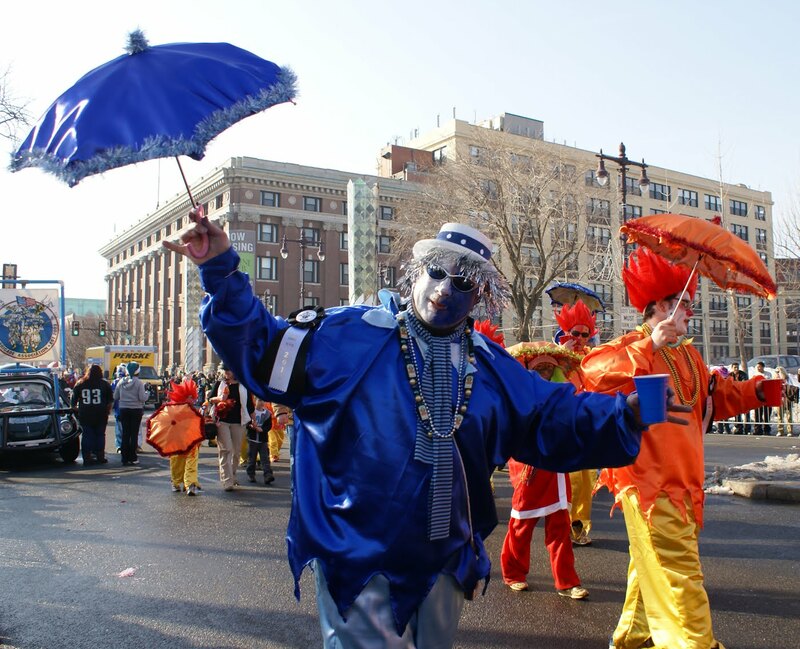 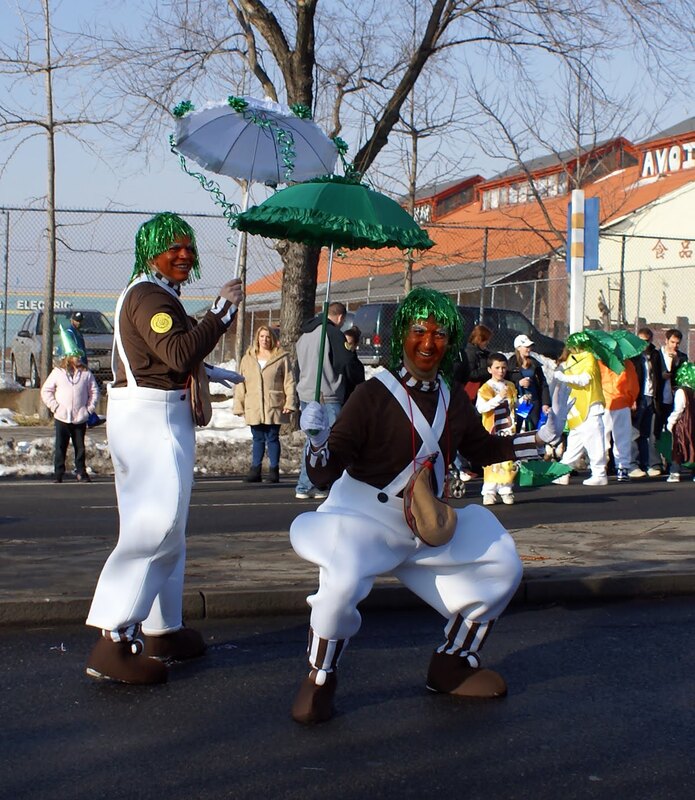 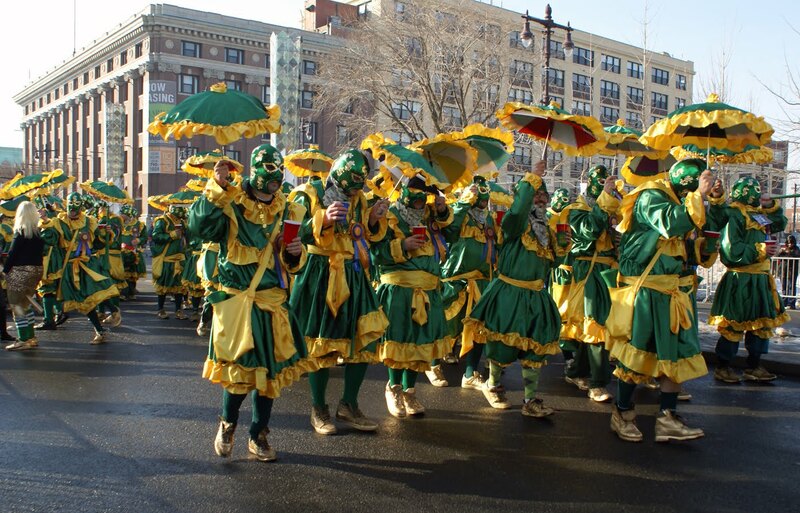 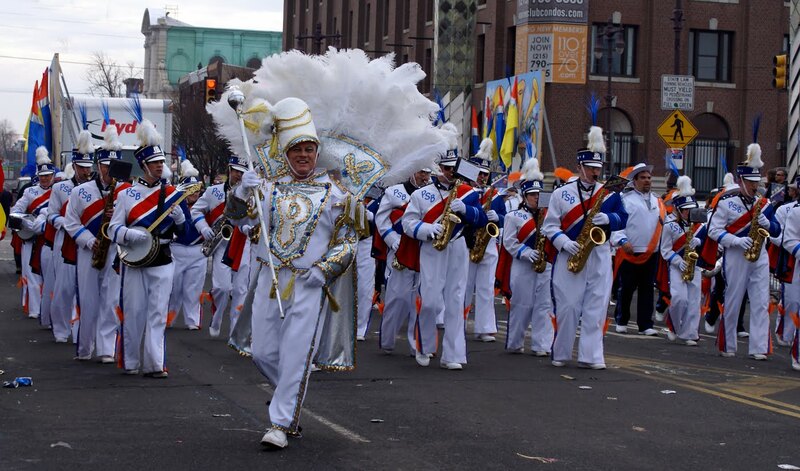 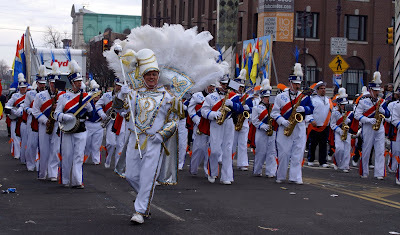 The Mummers Parade traces back to mid-17th century roots, blending elements from Swedish, Finnish, Irish, English, German and other European heritages, as well as African-American heritage. 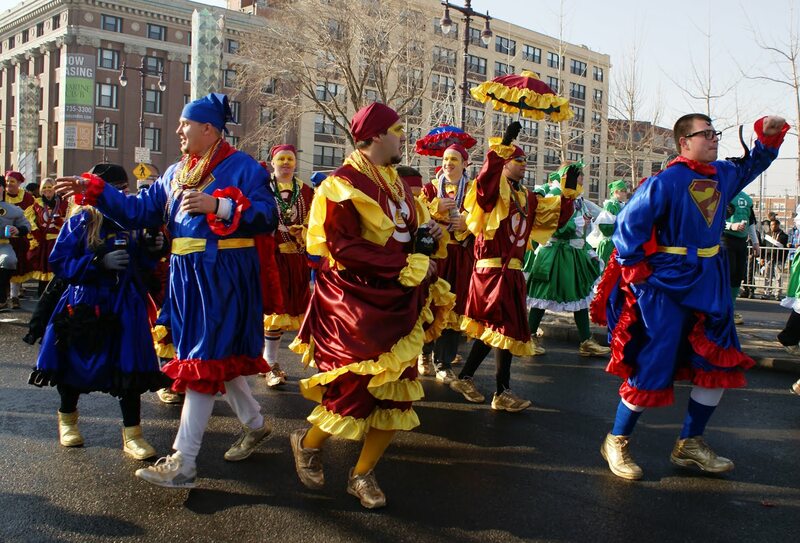 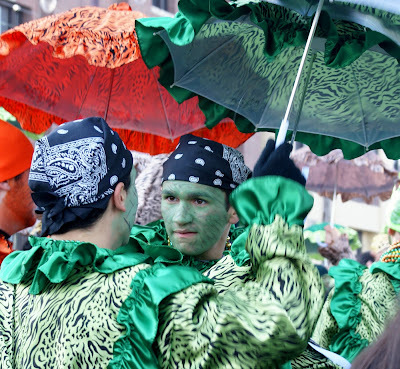 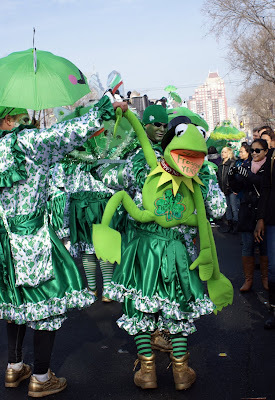 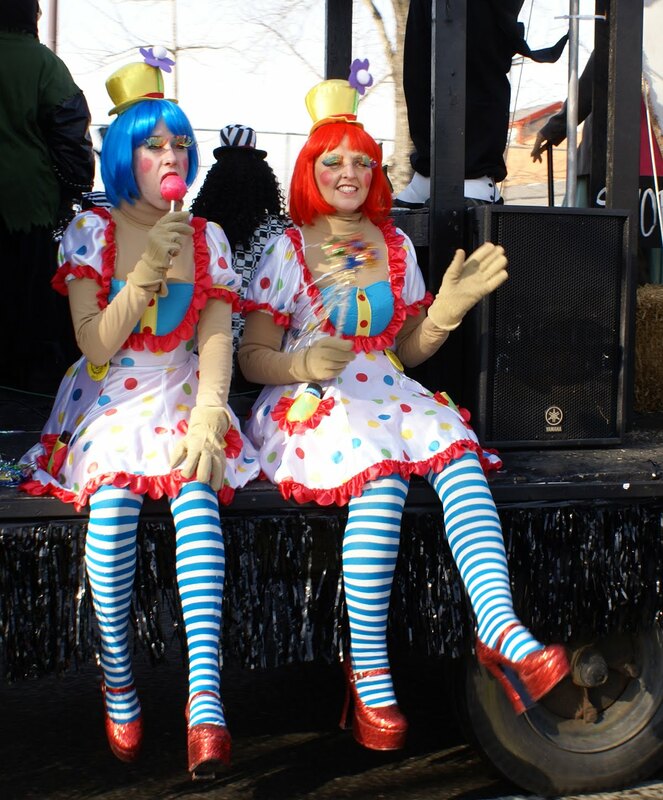 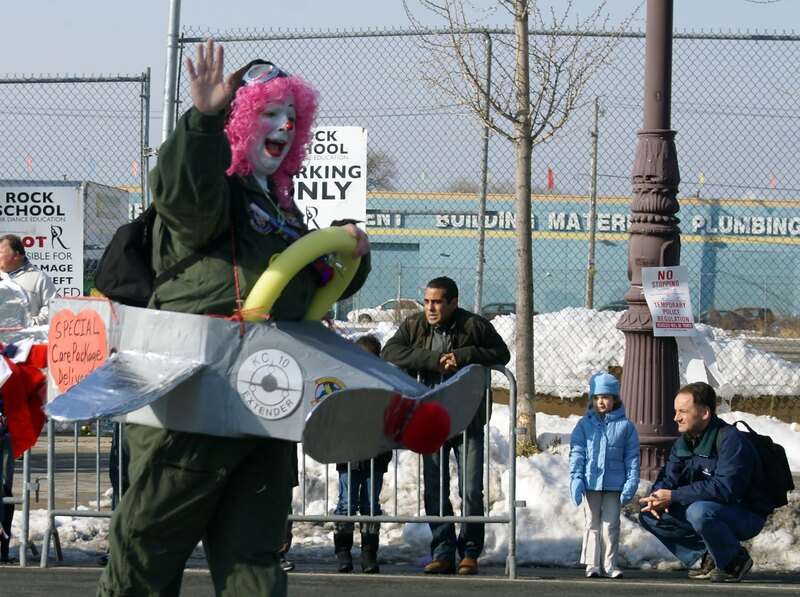 The parade is related to the Mummers Play tradition from England, Ireland, Scotland and Wales. 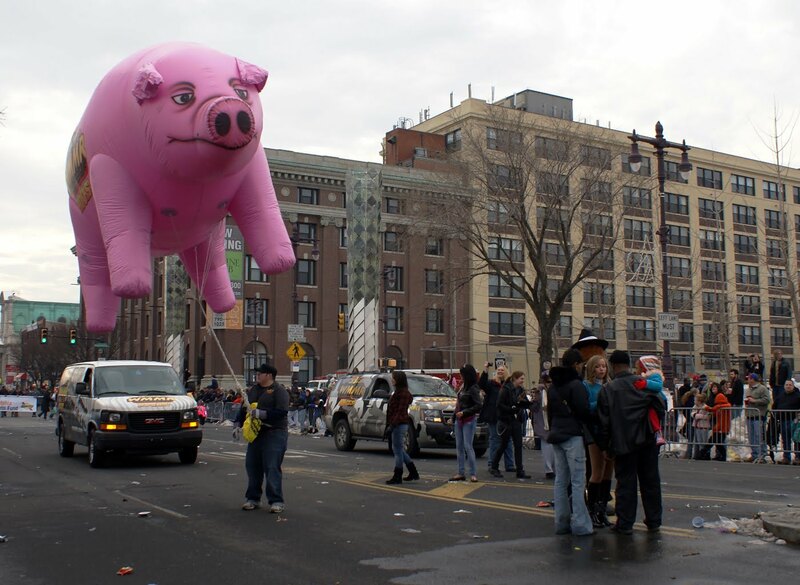 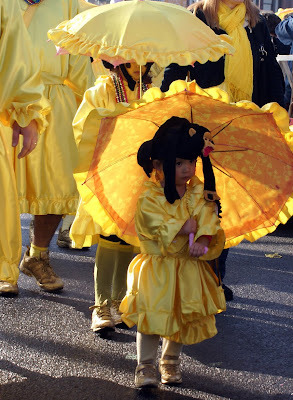 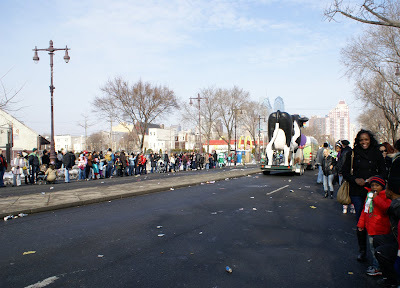 The first official parade was held January 1, 1901. 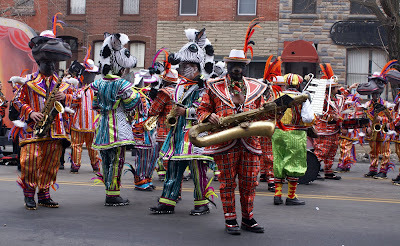 The earliest surviving String Band, Trilby, first paraded in 1902 (with many breaks thereafter, and a reorganization in 1935. Here are the photos - all 82 of them. 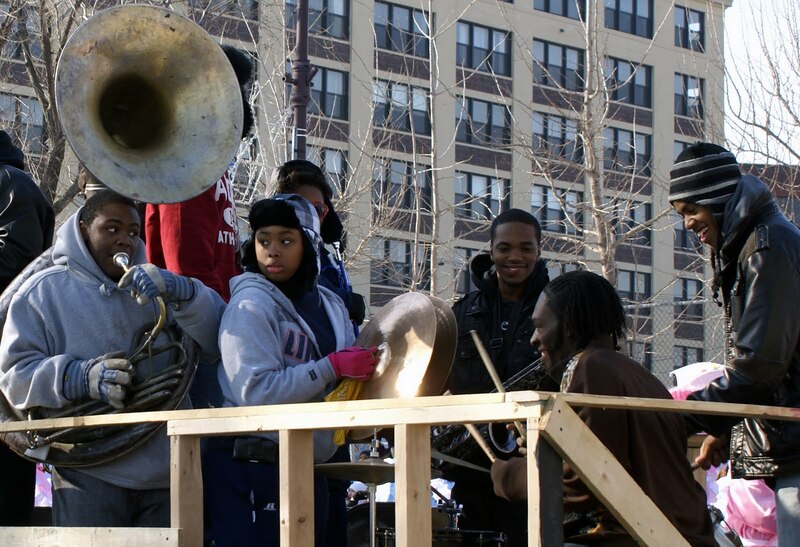 This band got us all dancing. 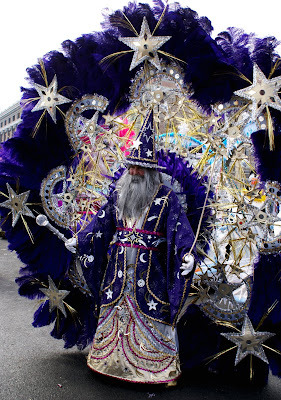 Gandalf? I thought you were gone, sailed off from Grey Havens. 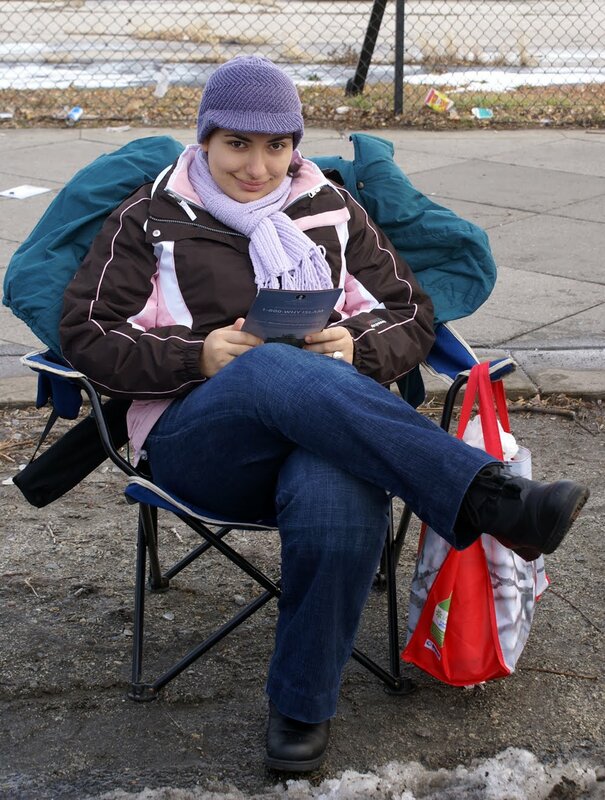 Roxy reading a brochure about Islam she was handed. 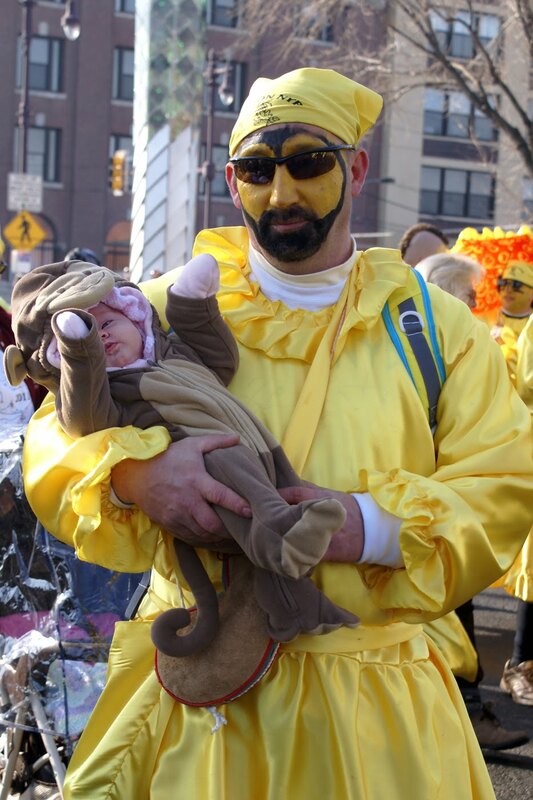 Little banana... it's Monkey Business team. 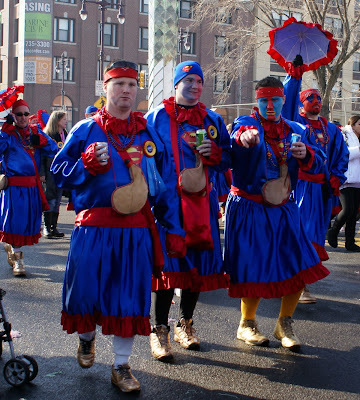 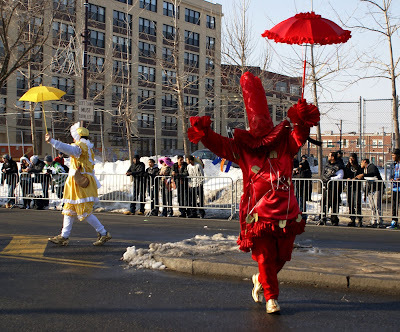 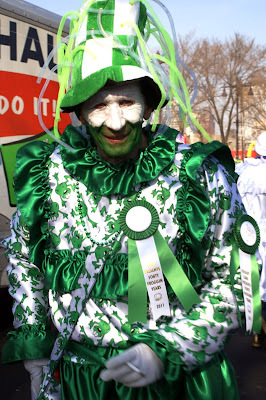 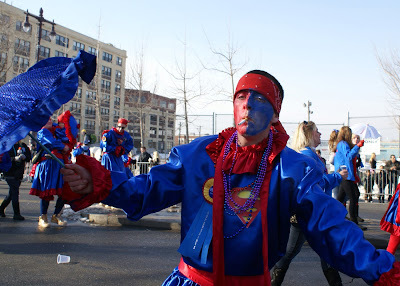 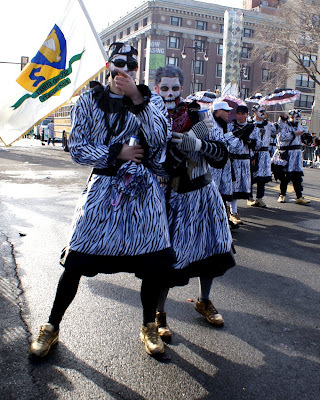 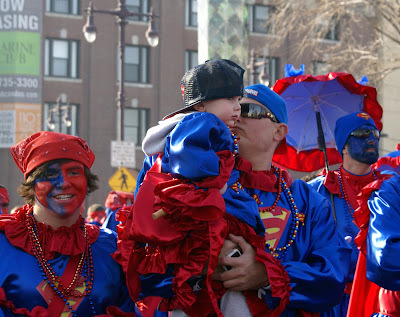 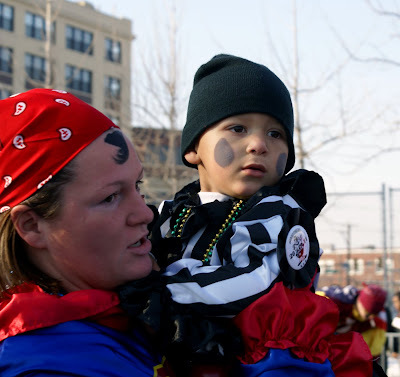 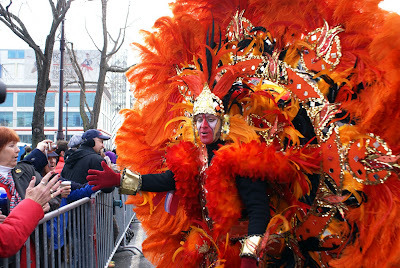 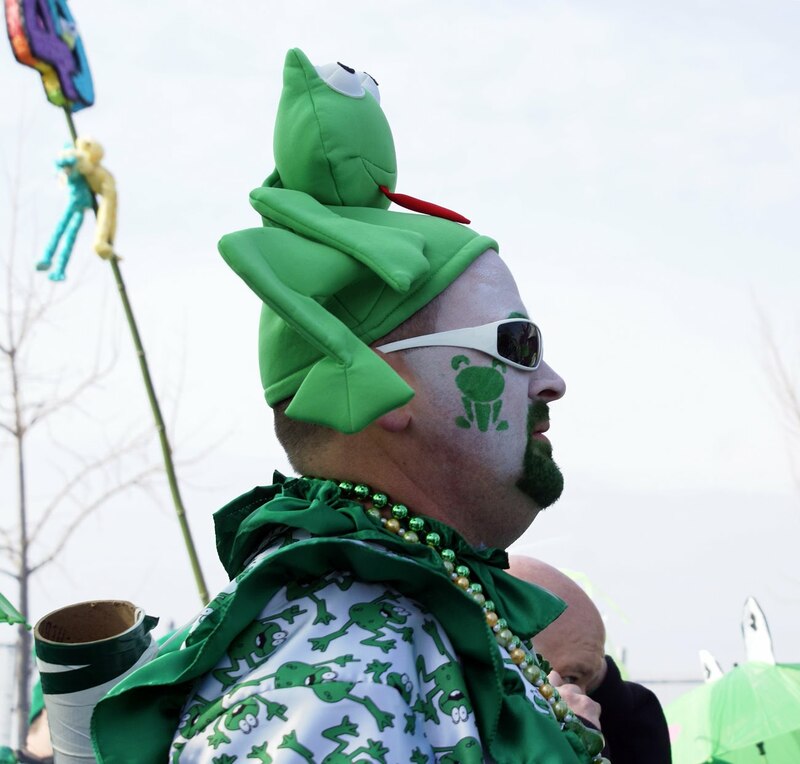 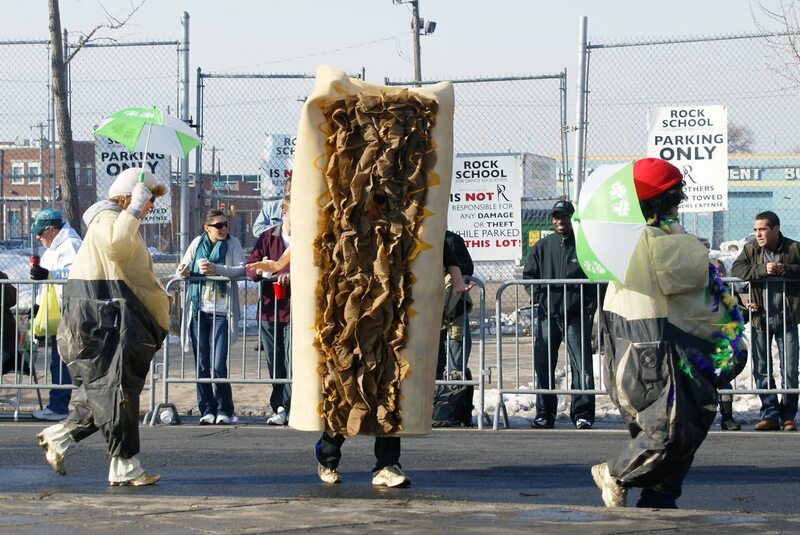 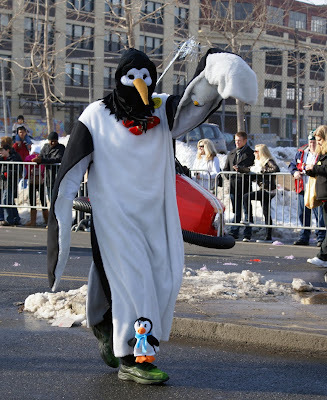 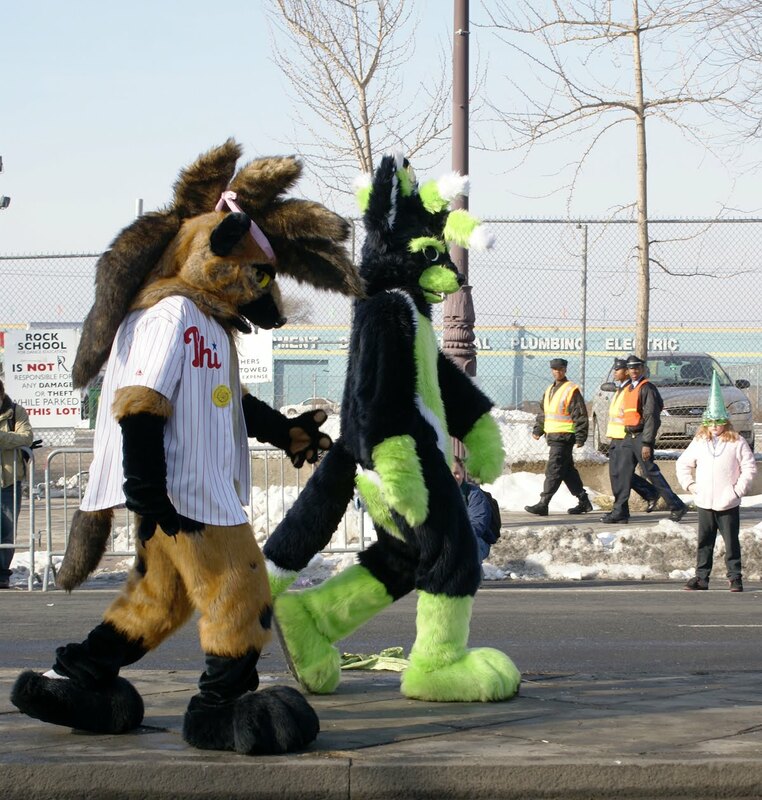 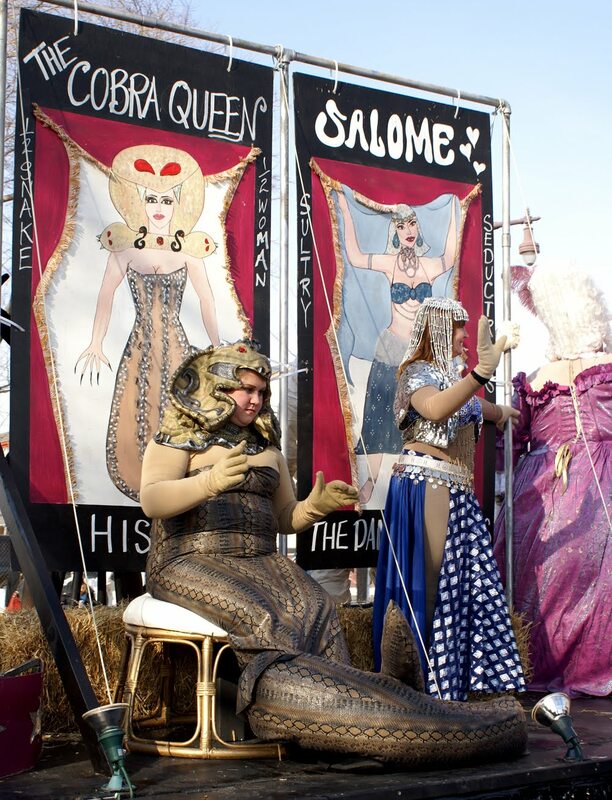 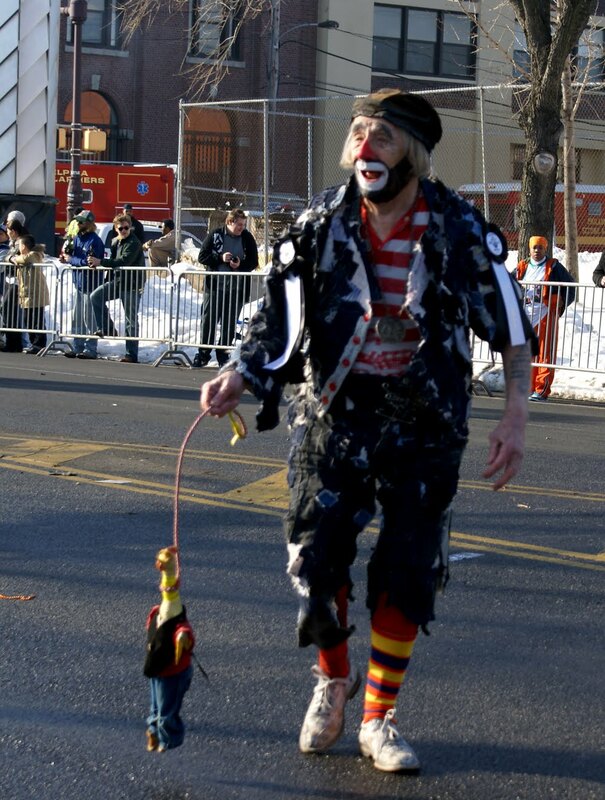 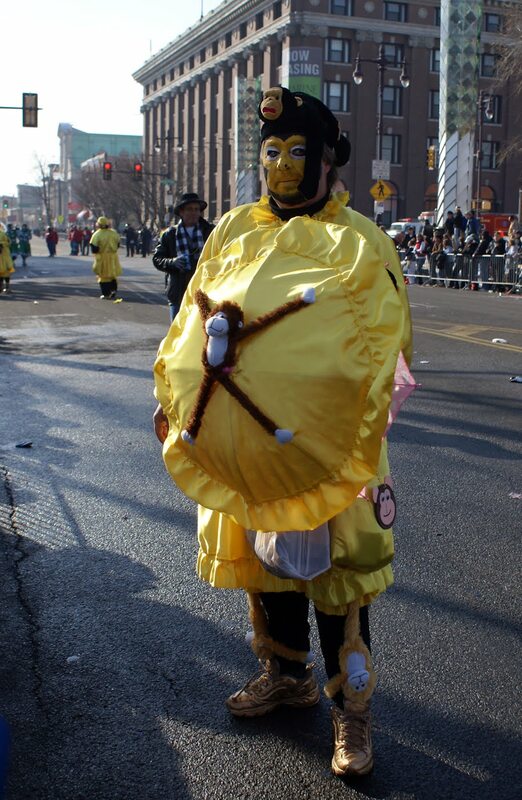 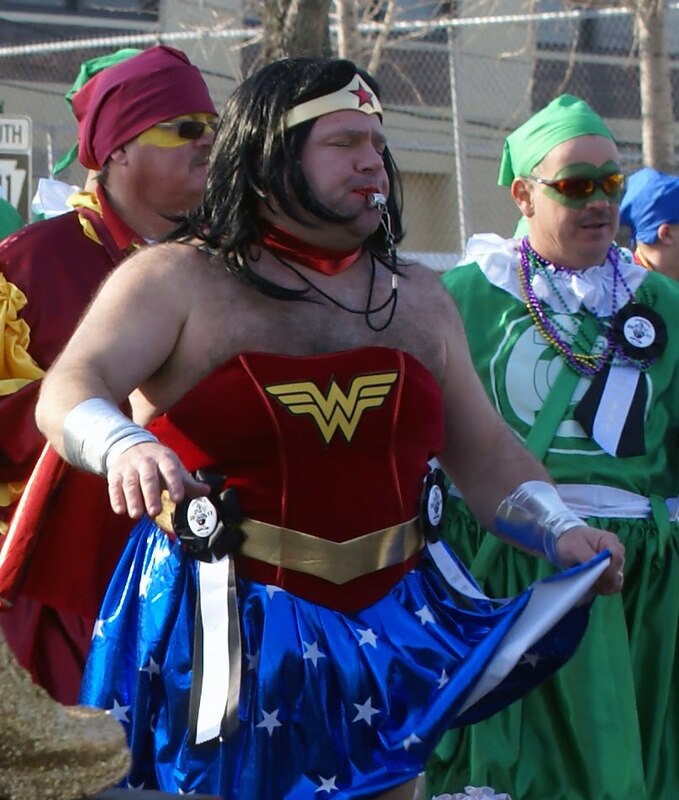 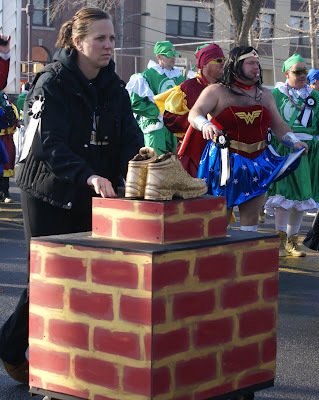 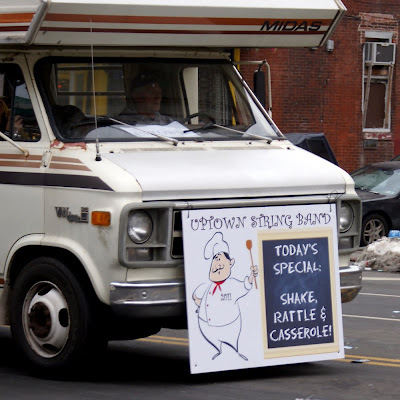 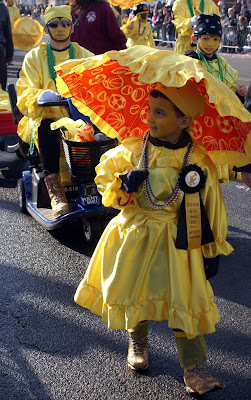 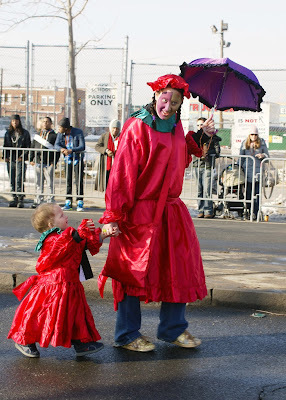 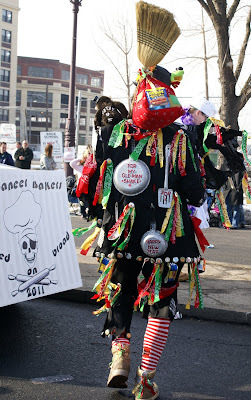 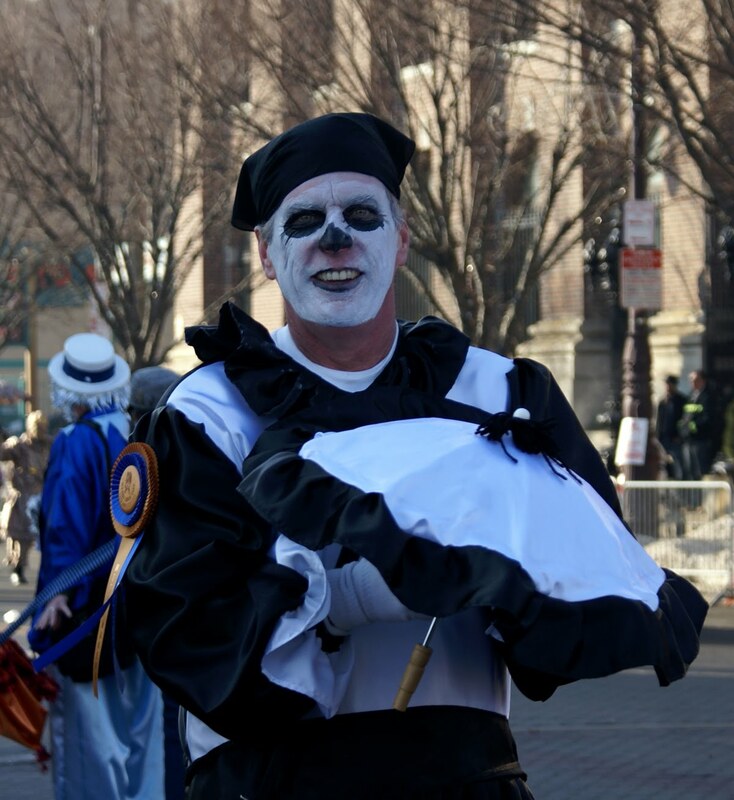 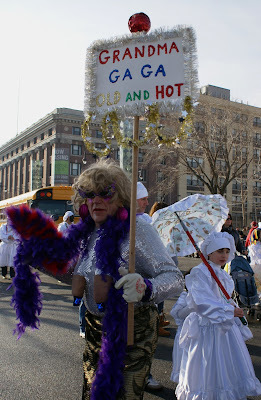 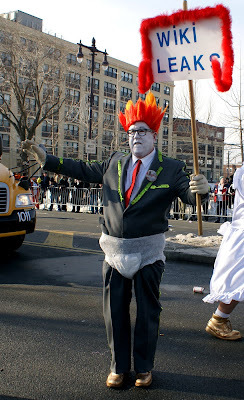 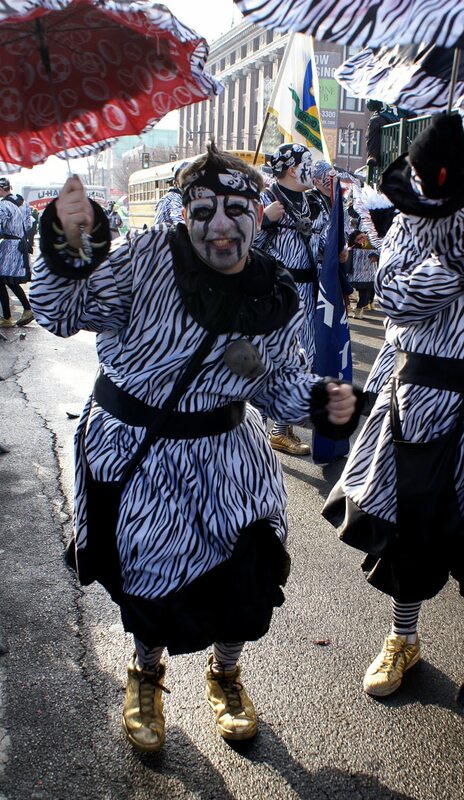 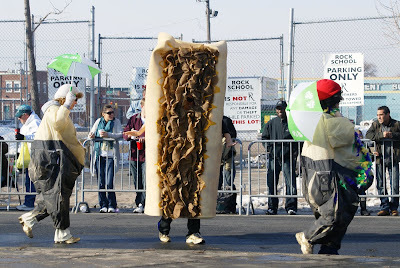 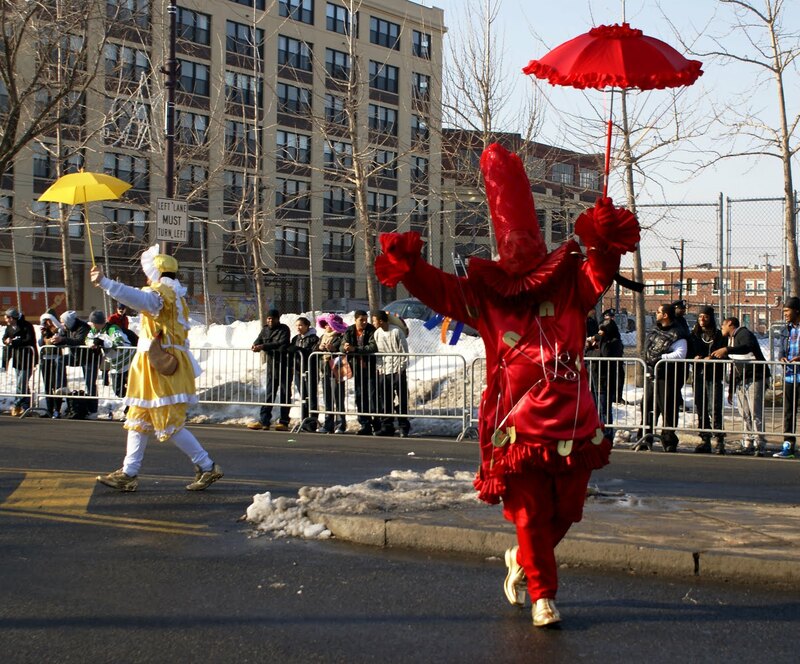 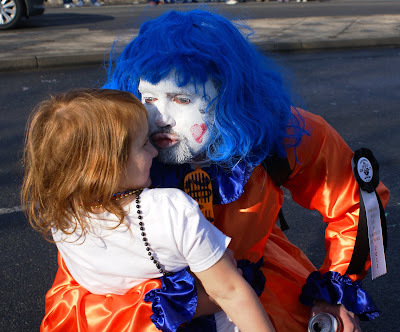 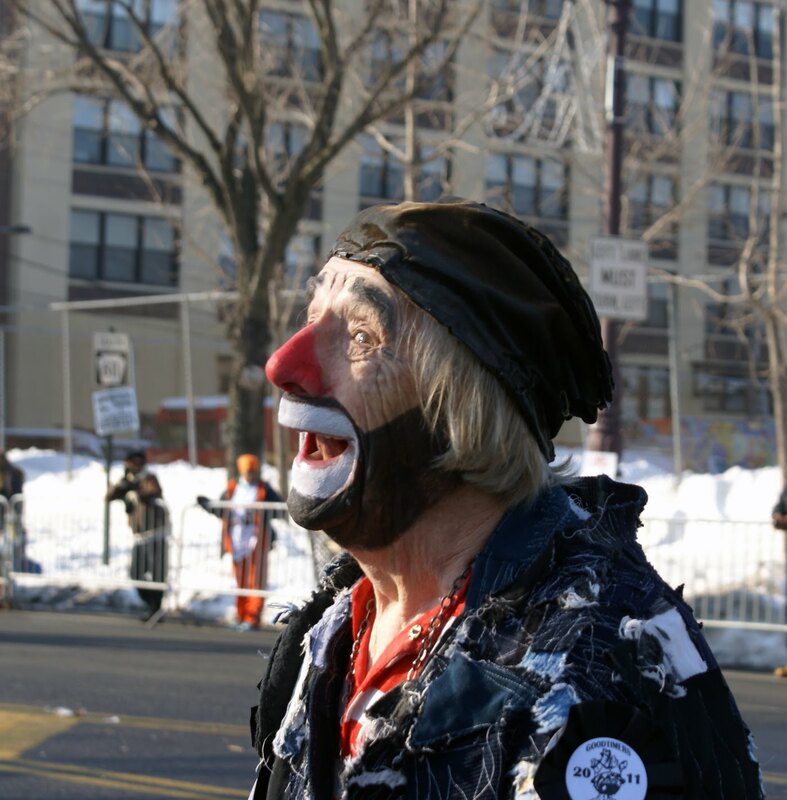 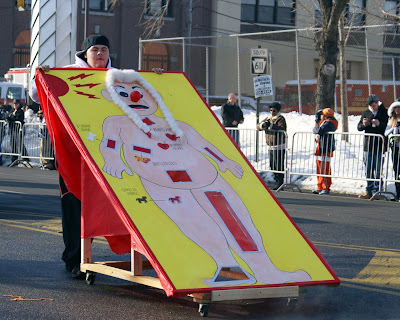 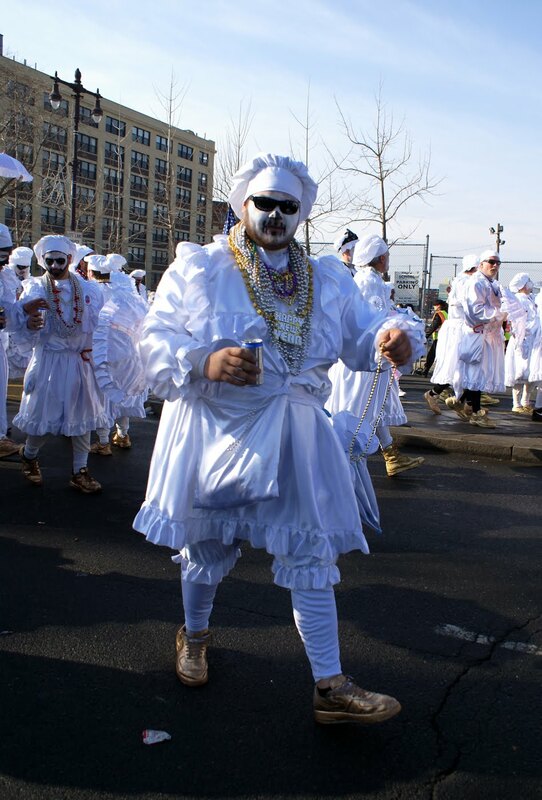 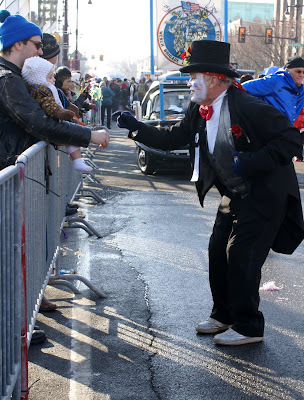 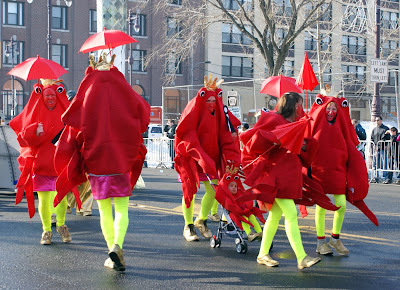 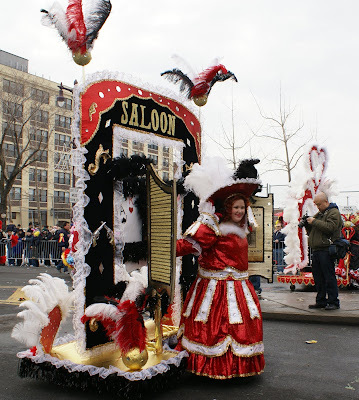 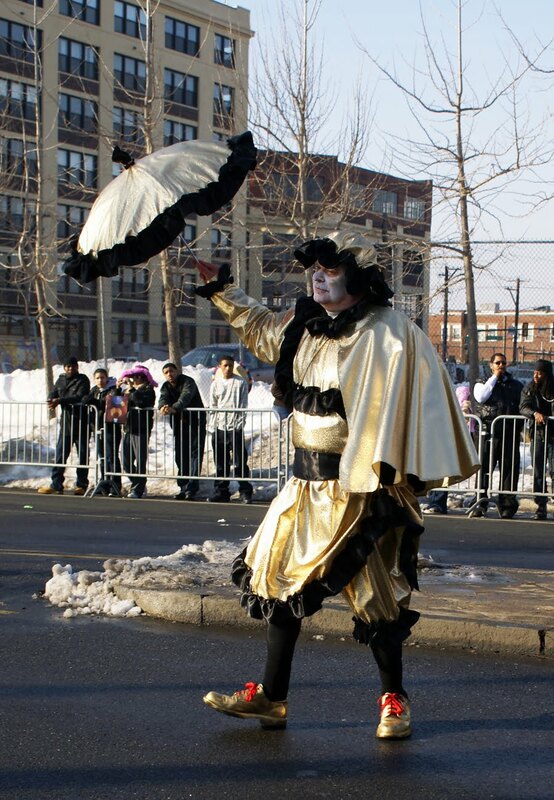 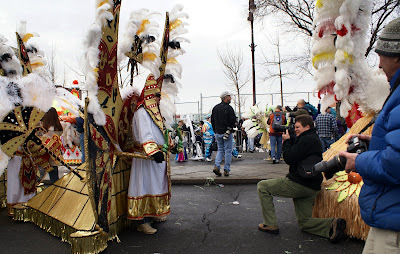 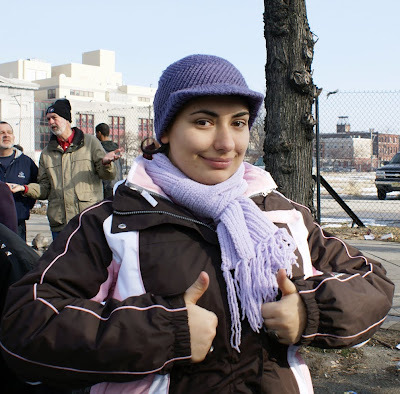 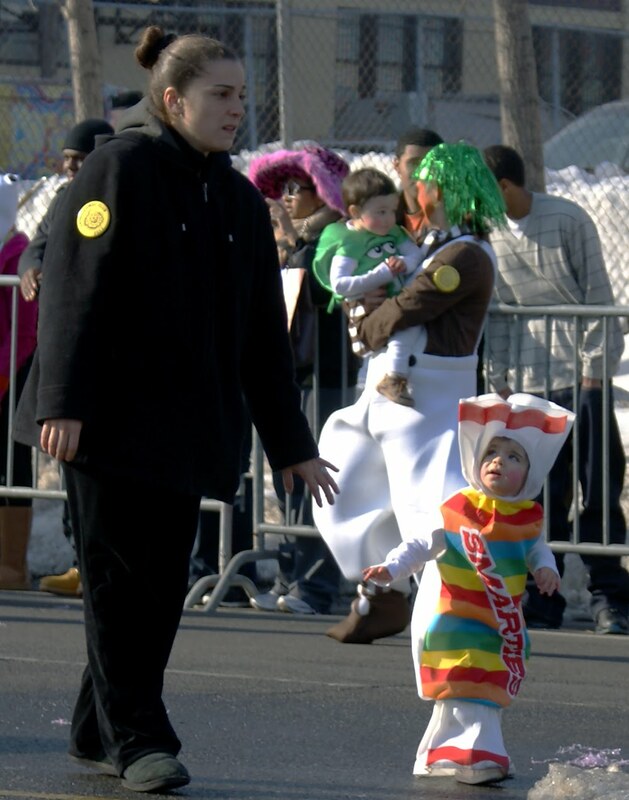 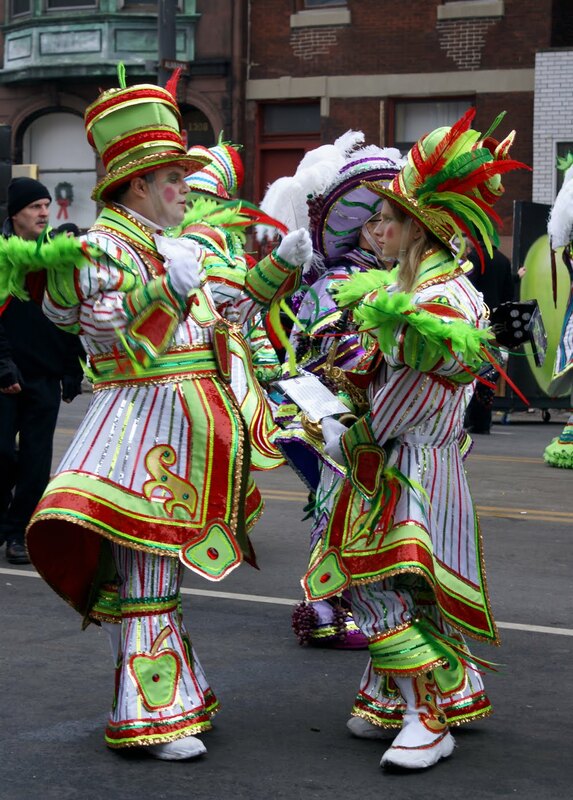 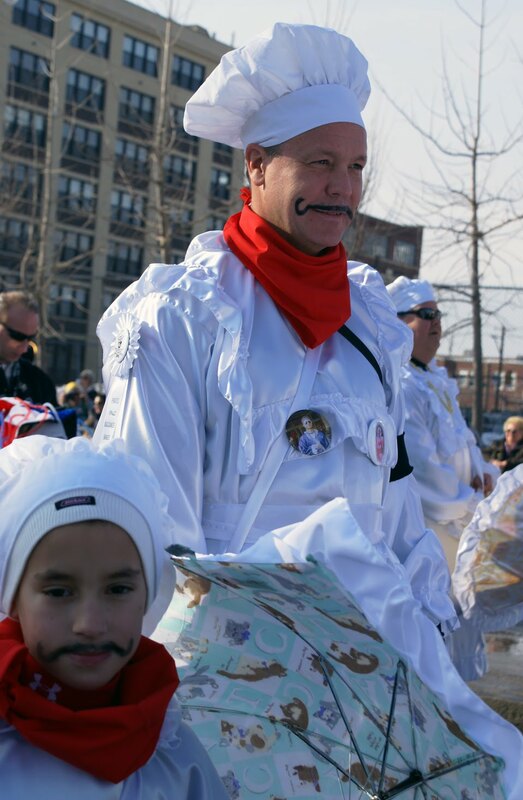 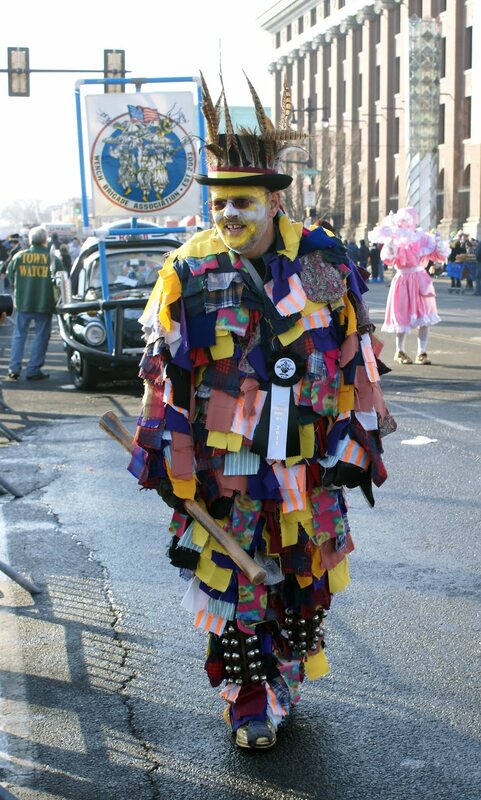 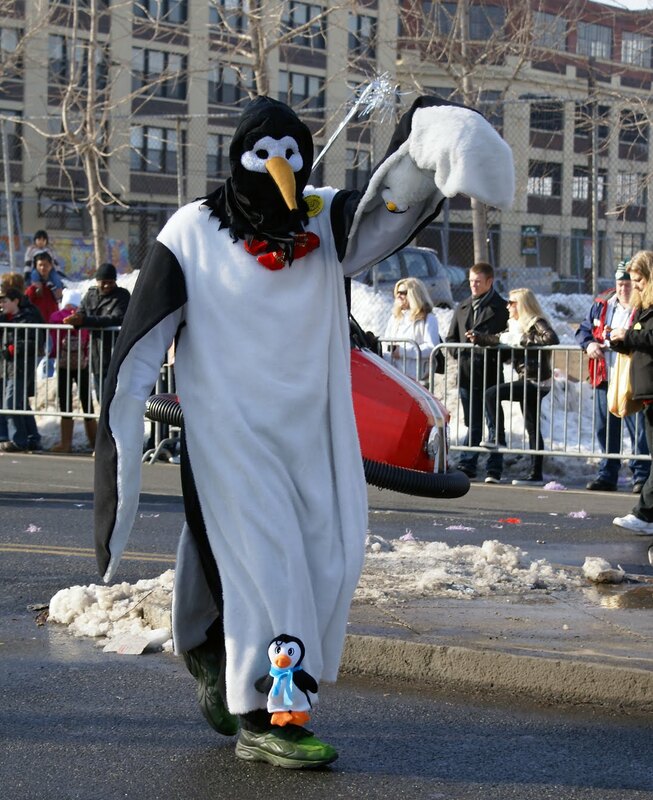 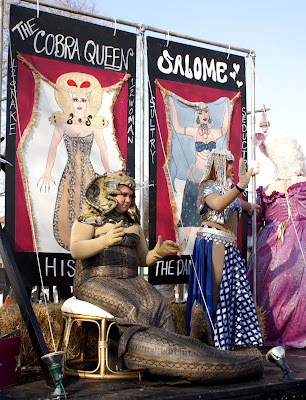 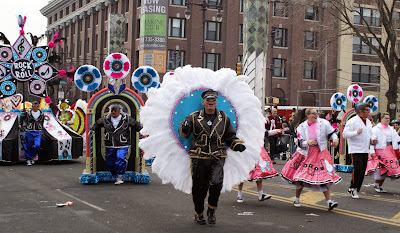 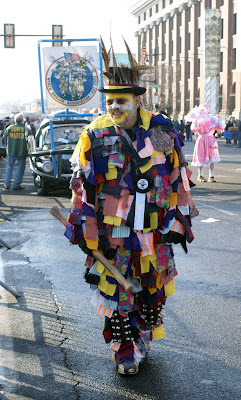 Not all mummers are examples of highest moral image. 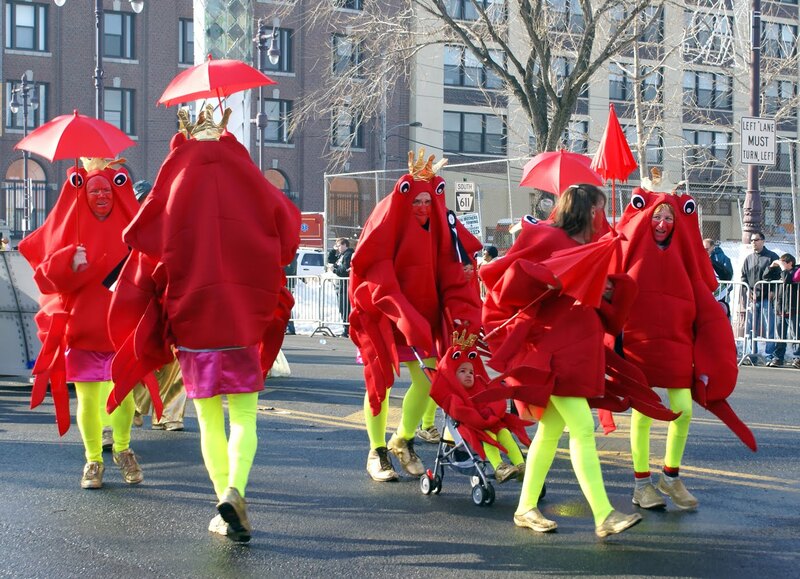 Lobsters from The Deadliest Catch. The wench and his wife. 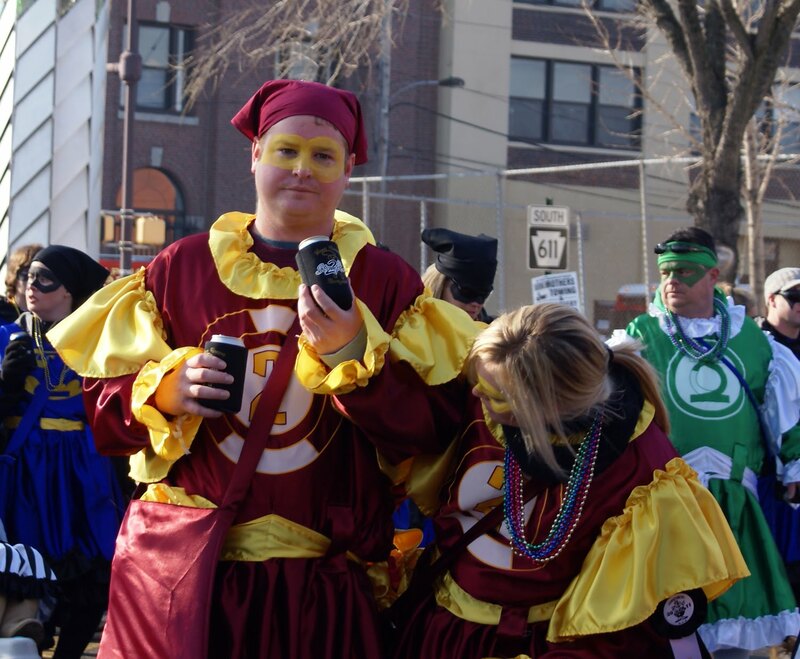 And his beer. Hairy-chested Super(wo)man and the Golden Slippers. The lederhosen-clad marching team. 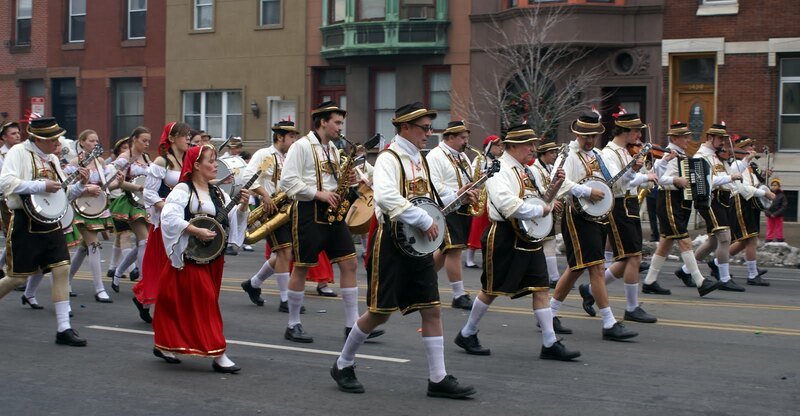 Germans, perhaps.